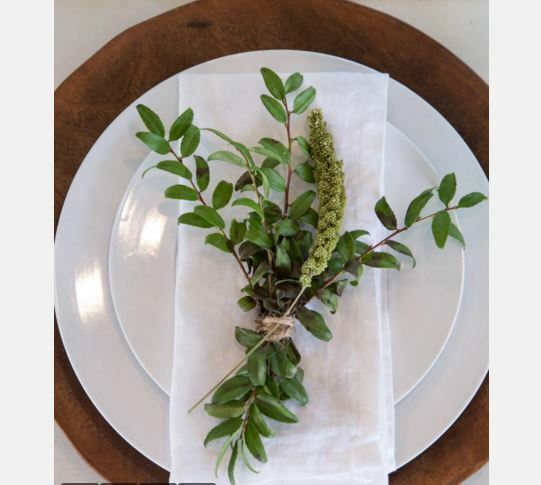 We love setting a beautiful table and the holidays are a great time to get creative too. 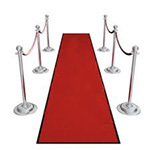 We’re not talking Martha Stewart bring out the glue gun creative, but really simple ideas. Here are six we’ve scoured around the web that we really loved. 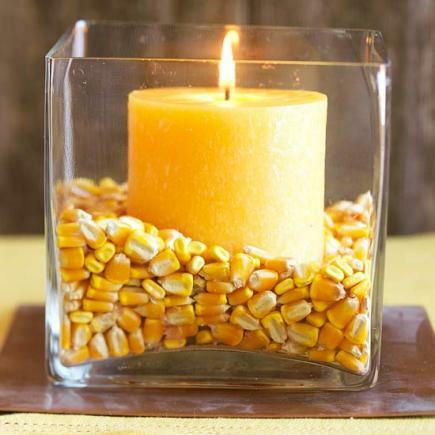 We love this idea from HGTV. One a beautiful Thanksgiving place setting. Just create bundles of clipped backyard vines, branches or grasses. A designer look without the designer cost. Wow. 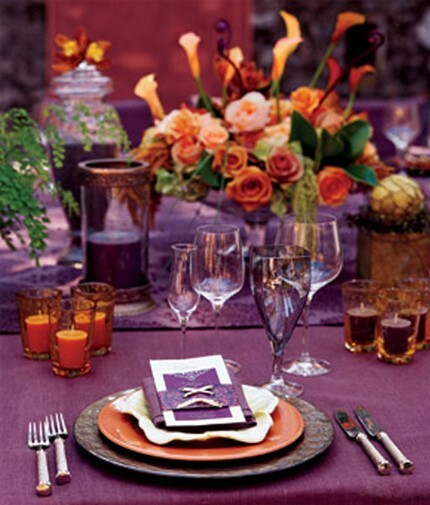 Love these plum covered linens and honestly wouldn’t have thought of this color for fall. And a little tough of orange really pops. 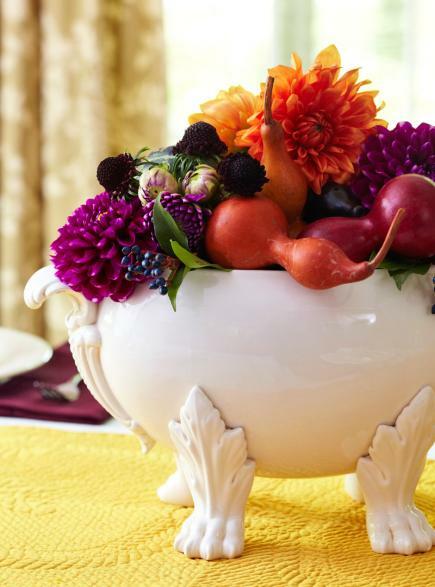 Now how simple is this beautiful centerpiece? 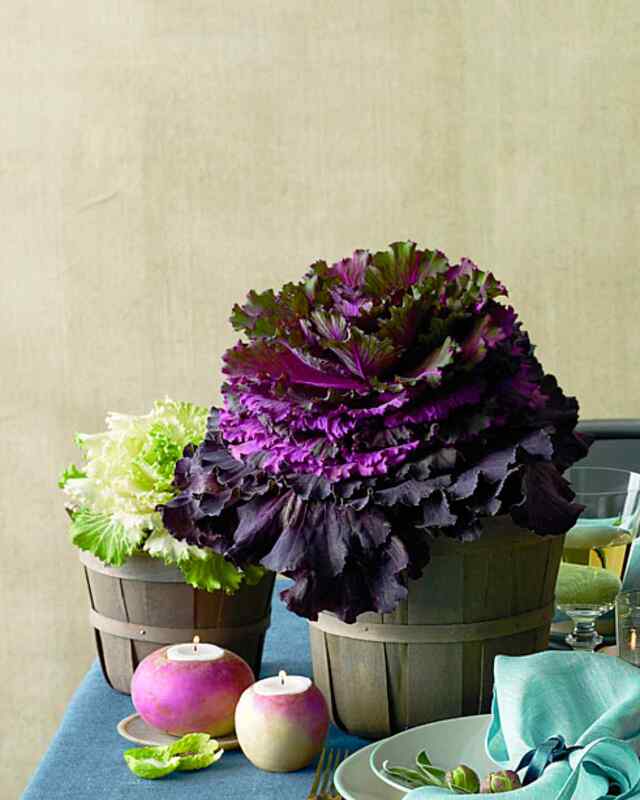 Just buy one of those ornamental cabbages and voila!! The small pumpkins work well too and the white pumpkins can be carved out in the center and just add a candle. We love this idea! What a great use for that soup tureen which we never use. Got us thinking about uses for other houseware pieces around the house. Get creative! 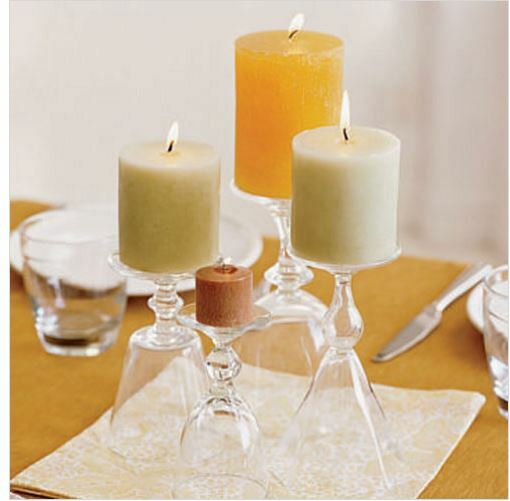 We saw the tip a while back for tipping wine glasses upside down and putting a pillar candle on top. You can bows to the stems too for a more festive look. Use glasses of different sizes and you get a wonderful look.